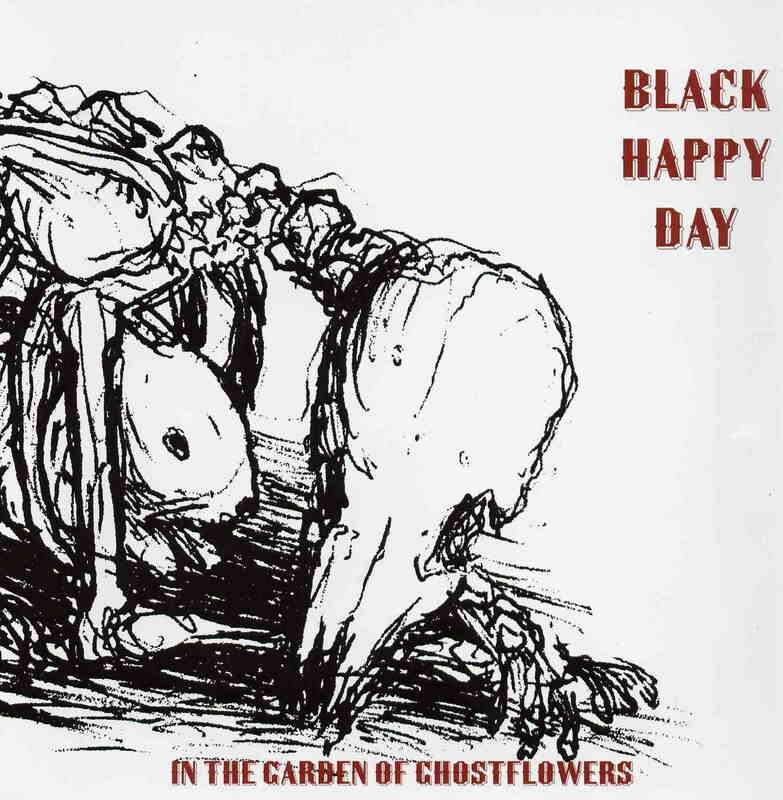 Black Happy Day is a collaboration between Tara Vanflower of the ambient influenced goth rockers Lycia and Timothy Renner of the acid folksters Stone Breath. And that little bit of information alone gives you an idea of what the music sounds like. In the Garden of Ghost Flowers is a combination of haunting, psychedelic folk and moody experimental soundscapes. The duo succeeds on both counts, especially on the more avant-garde ambient front, as on the amazing (though somewhat unfortunately titled) Whore, which combines Spartan electronics with Tara’s haunting voice to excellent effect. Of the Wind and Loneliness is a strange and haunting soundscape as well, utilizing a xylophone-like sound along with both performers voices, and has a touch of Rosemary’s Baby soundtrack ambience to it. Very creepy! And the lengthy How Many Hours Till the Spider’s Work Is Done is a deep and spacey meditation of weird, backwards sitar and ghostly voices. On the freak folk front are tripped out songs like the title track with its multiple layers of voices and lo-fi acoustic guitar creating a dreamy, mist shrouded space and the damaged, Comus inspired How the Weep and Moan, which needless to say is somewhat disturbing! It’s not all dark though. The album ends on two brighter notes with the surprisingly beautiful and even romantic Hand In Hand and the droning and spiritual Be Thou My Vision, the latter seemingly heralding the sunrise after the long dark night of the soul. In the Garden of Ghostflowers took a few listens before I started getting into it. But it has this seductive pull to it that slowly but inexorably draws you into its hidden little world. Give it a chance, and you’ll find yourself dancing in the garden too.